A version of this article originally appeared in the Oct. 6 issue of our newsletter, The Raven. Subscribe HERE. MiB: You and your AO counterparts pour so much of yourselves into growing the game we love in the country we love. Talk about your mood heading into a weekend where so much is at stake. DW: To say there’s a lot at stake is putting it lightly. We’re really talking about a pretty crucial moment, not just in our World Cup qualifying hopes, but in the larger scheme of things. Before the last round of games, we thought the match against Panama in Orlando would be a celebration of our heading to Russia. Now we’re in a nail biting - although I think most people are beyond their nails - anxious, nervous scenario. You don’t want to go into the final day of World Cup qualifying against Trinidad and Tobago needing a win. There’s no losing here. If we don’t qualify, I think it’s a significant setback for the American program. And a step backwards for our fandom. If we don’t have anybody to cheer on during the summer, it definitely makes the job of uniting and strengthening fan groups harder, because there’s nothing to coalesce around. MiB: Your football life - and the lives of all the AO brass - are going to drastically change in the next five days. Either, you go into overdrive, planning a trip to Russia. Or it’s a massive exhale and some downtime. How do each of those roads play out for you? DW: The biggest piece of planning for any World Cup is how we get fans there. We’ve been having those conversations already with the travel agency we work with about Russia. We have stuff almost ready to go. But it’s really the World Cup draw in December, not just qualification, that depends where AO headquarters will be. What will happen after this weekend, is we will start gathering people who are interested in going and giving them estimated costs. I don’t even want to consider the exhale. There will be a lot of soul searching. The tough part is who we would then play in 2018 and how we get anybody excited about those matches if it’s not a lead up to the World Cup. I think we might lay low for a few minutes. That doesn’t mean we just pack it up. We’re not moving onto hockey (laughs). We’ll still be there to support the team. MiB: Last World Cup, the AOs absolutely took over Brazil. You couldn’t get on Twitter without seeing AO-soaked scenes from around that country. Will it be the same in Russia? Or will there be more events here in the U.S.? MiB: You dedicate so much of your life to this cause. There is so much at stake here. Talk about the emotions you would feel if things don’t go well tonight. DW: I think about the emotions I get when the U.S. is eliminated from the World Cup. Losing is never easy. Losing in a World Cup is hard because it’s the end of a journey. And that’s being at the World Cup. Losing before you get to the World Cup - the world’s tournament - after we’ve made so much progress as a nation… I feel really badly just saying that out loud. Personally, it would be crushing. I think I would need a few days to digest what a loss would mean. Ultimately, I know what it means for all of the people I’ve become friends with at American Outlaws over the years and how much they would hurt. That makes it even worse. It’s like Obi-Wan Kenobi, "I felt a great disturbance in the Force, as if millions of voices suddenly cried out in terror, and were suddenly silenced. I fear something terrible has happened." 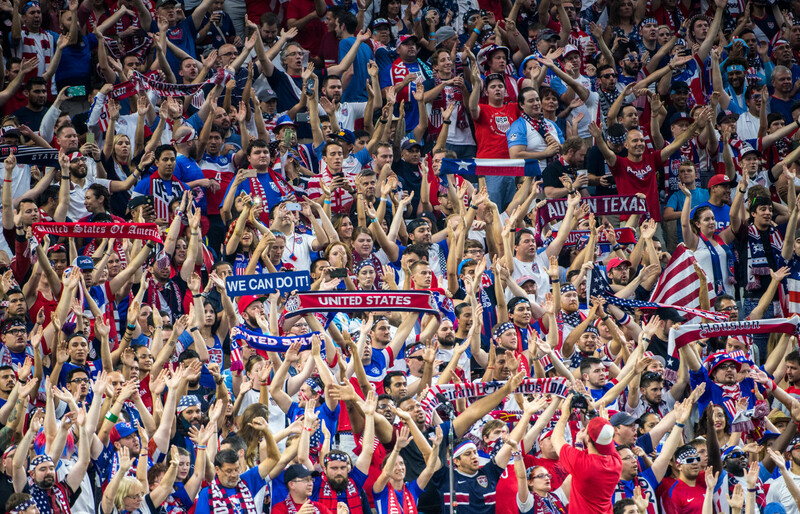 American Outlaws and U.S. Soccer is the fabric of our lives. 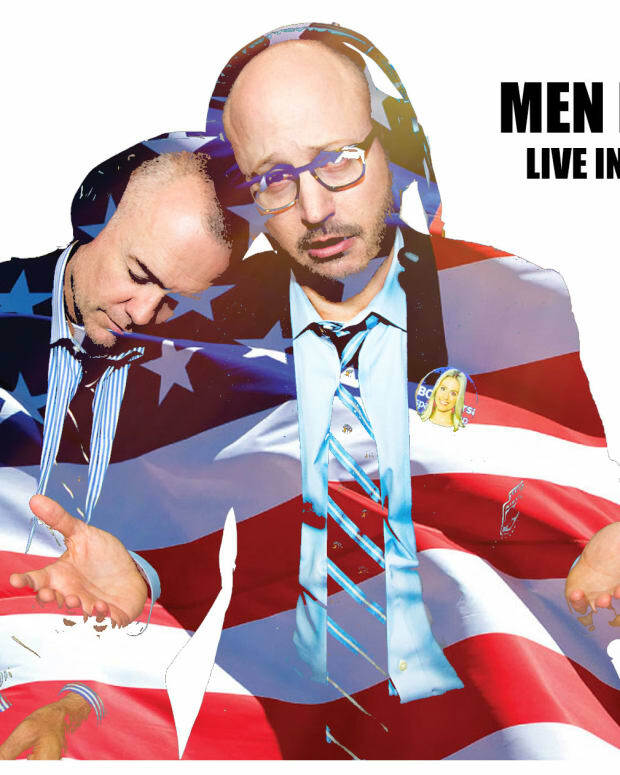 To silence this American soccer movement would be devastating.